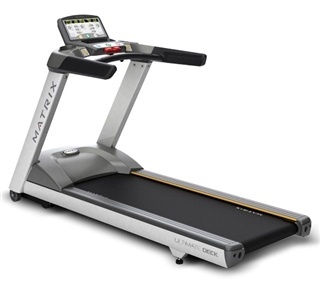 When it comes to purchasing used treadmills, there are lot of options to choose from. It’s easy to get drawn in by the different features; built-in workout programs, heart rate monitoring, incline, decline, or space-saving foldability. However there are other important factors that sometimes get overlooked. 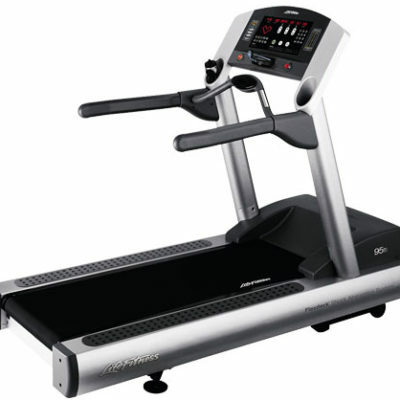 Read more about selecting the right treadmill for sale for you. Opting for pre-owned equipment can represent a significant cost-saving compared to buying brand new. Used treadmills for sale also provide an environmental benefit, and they’re the greener, more resource-efficient option. 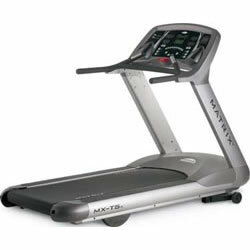 Check out some of our current inventory of used treadmills for sale. Keep in mind, this is not Craigslist and we offer full commercial grade treadmills from the top manufacturers in the industry. Call us to speak to a representative about which used commercial treadmill is the right fit and inquire on our price drop today: 888-502-2348. 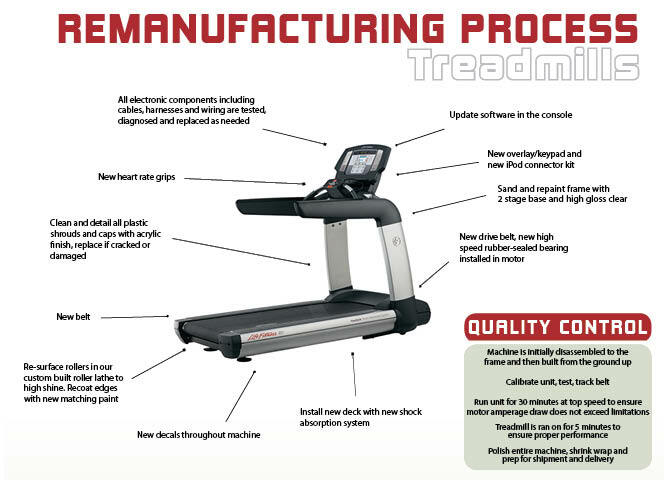 We offer floor demo’s, serviced (refurbished) and fully certified remanufactured treadmills with warranty protection. Check out more information below the list of the top things to consider when purchasing! 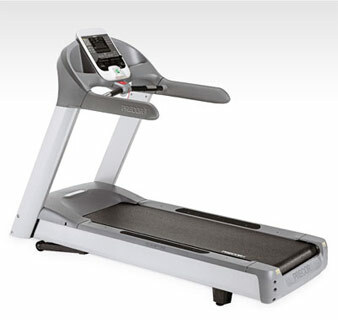 Precor TRM 885 Remanufactured Commercial Treadmill. Call Now For Lowest Pricing Guaranteed! There’s no doubt about it, a reputable brand will last longer and cost less to maintain. 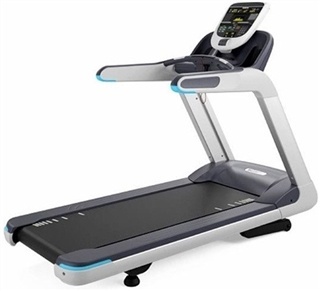 Brands like Life Fitness and Precor are renowned for manufacturing durable treadmills that stand up to the wear and tear of daily use. They are designed in the USA and place an emphasis on high levels of durability. Both brands do a lot of tolerance testing to ensure a product is up to scratch before releasing it to customers, which helps avoid defects and breakdowns. 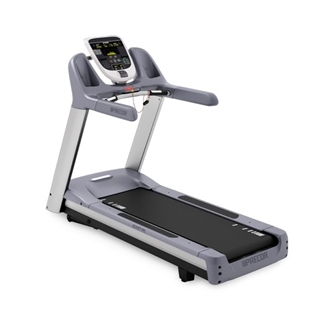 They also use quality parts and materials which are designed to last longer, adding to the overall lifespan and durability of their used treadmills. As a user you’ll often notice a different feel with high-quality brands too. Depending on the specific model it might be smoother, more cushioned, or even firmer in some places where stability is important. 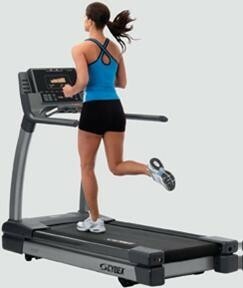 Life Fitness treadmills are known for delivering a firmer all-round feel which many users enjoy. 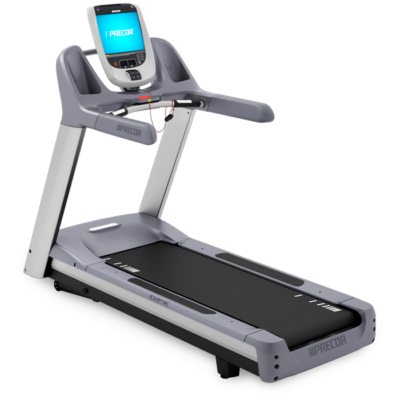 Precor design their treadmills to be more cushioned near the front where your foot lands, and firmer towards the back where it pushes off. This helps to absorb impact when you land and provide stability as you push off. 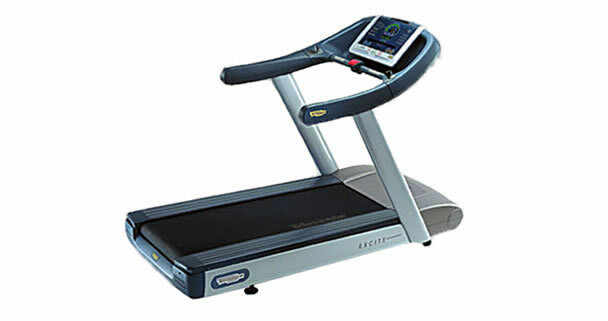 Used treadmills from high-quality brand will often be quieter as they’re manufactured to minimize vibrations which cause noise (as well as overall stress to the equipment). Like with most things in life, you get what you pay for. Cheaper brands are available from sports retailers or Amazon, but there’s always a compromise attached. To save costs and achieve a lower price point, they’ve usually had to strip out some features, use lower quality materials and manufacturing processes, or reduce important overheads such as after-sales service. 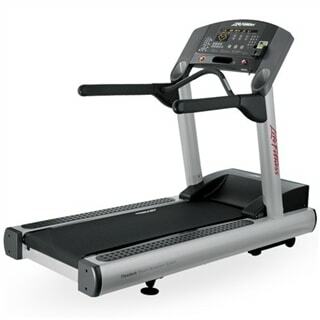 Used treadmills come in three grades: commercial grade, light commercial and home. Commercial grade equipment is designed for use in gym facilities and health clubs. It is extremely durable as it needs to withstand constant use for many hours a day. It also needs to meet the needs of a varied range of gym user, so tends to include lots of different workout programs built-in. Gyms will clean, maintain, and service their equipment regularly so you can be confident that pre-owned equipment will be in great condition. 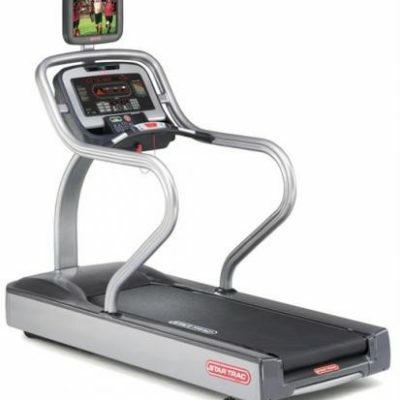 Light commercial treadmills simply sit between full commercial and residential models. They are generally right down the middle on all facets including horsepower, tread belt size, electrical components and the overall feel of the machine. Home grade (AKA residential) equipment is designed for individuals rather than commercial settings. It may have fewer features or pre-programmed workouts but will often look more stylish to compliment your home’s interior design. If you buy home-use equipment from a reputable brand, then there won’t be a compromise on quality. Since the leading suppliers manufacture both commercial and home equipment, they apply the same insights to both types. Home grade won’t be suitable for gym use, but can usually be suited to daily workouts, just sacrificing the overall feel of the machine. Assessing the condition is essential if you’re considering used treadmills. Ask how many miles (or kilometers) have been recorded on the treadmill. A reputable supplier will be able to look at the diagnostics of the machine and tell you exactly how much it’s been used. This will give you an indication of whether the parts are likely to be at the end of their lifespan or if it’s hardly been used. If it’s a commercial grade treadmill that was used in a gym then they’ll also be able to supply service records. The condition of the motor is especially important as this part of a treadmill can be expensive to replace. You should also inspect the belt and condition of any functional buttons, levers, or touchscreen areas. 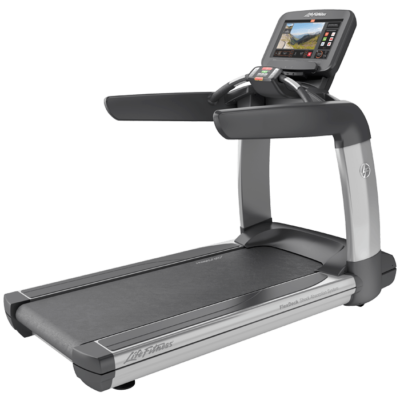 Older used treadmills were manufactured with ‘resistive’ touchscreens that can become less responsive with repeated use, whereas newer treadmills use ‘capacitive’ touchscreens (similar to an iPad) that don’t wear out in the same way. Another reason to avoid really old models is the availability of spare parts. Not only will very old treadmills have received more wear and tear, but it may be harder to source replacement parts if it does break down. Assessing the condition can be tricky if you’re buying via eBay, Craigslist, or similar marketplaces. There may be a fault that isn’t declared in the product description and it’s unlikely to come with a warranty. It can also be difficult to determine how many owners there have been prior to the current one, which will significantly impact the wear and condition. This is why it’s best to purchase through a reputable online supplier who can guarantee the quality and provide after-sales support. They’ll have a dedicated team who service equipment and usually include a warranty or other guarantee. Unlike retail stores, online suppliers have fewer overheads so they can pass the savings onto customers. If you’re interested in pre-owned equipment at a competitive price, then our team can advise you on the best models to meet your needs. 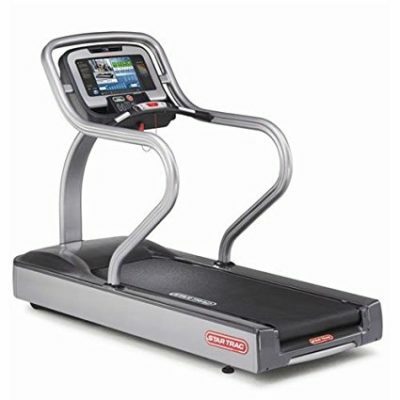 Find out what the best used treadmill for sale (for you) is Today. Simply get in touch via our contact form or give us a call at 888-502-2348!